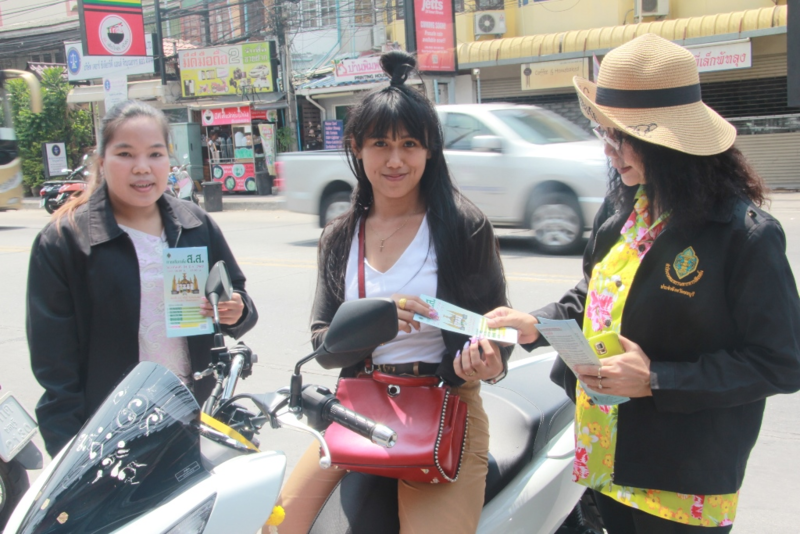 PATTAYA:--Central Pattaya residents urged their neighbors to get out and vote on March 24. Yuparat Phuwong, secretary for the Democracy Development Election Center group, and Jirawat Plukjai, president of the Chumsai Community, led the March 19 march up and down Third Road. The campaigners did not endorse any candidate or party, but simply urged people to cast ballots in the general election on Sunday. They said voting is a civic responsibility and those who don’t, will forfeit their right to complain about politics and the workings of government. The Democracy Development group works to educate voters on the electoral process and the implications of not voting. i like that handle on her head.